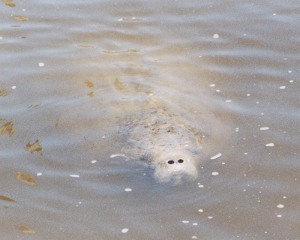 The endangered Florida manatee, numbering fewer than 3000, has no natural enemies. Many injuries and deaths are caused by recreational boat propellers. 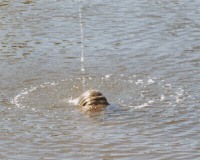 The manatee is a mammal -- it must surface to breathe every few minutes. They're also attracted to fresh water.